Your Goal?Why are you here? I have been thinking recently that we often tend to or know someone that quits or throws in the towel too soon. 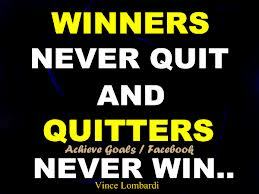 How many people do we really know or could we speak and confidently say that he or she never quits ??? Get in touch with me to see how I can help you achieve your fitness goal, call 07725 988 144 or email ricky@rickysingh.co.uk. Personal training is carried out in the excellent facilities at The Sinclair Building, 18-20 Eagle Street, Port Dundas, Glasgow, G4 9XA.